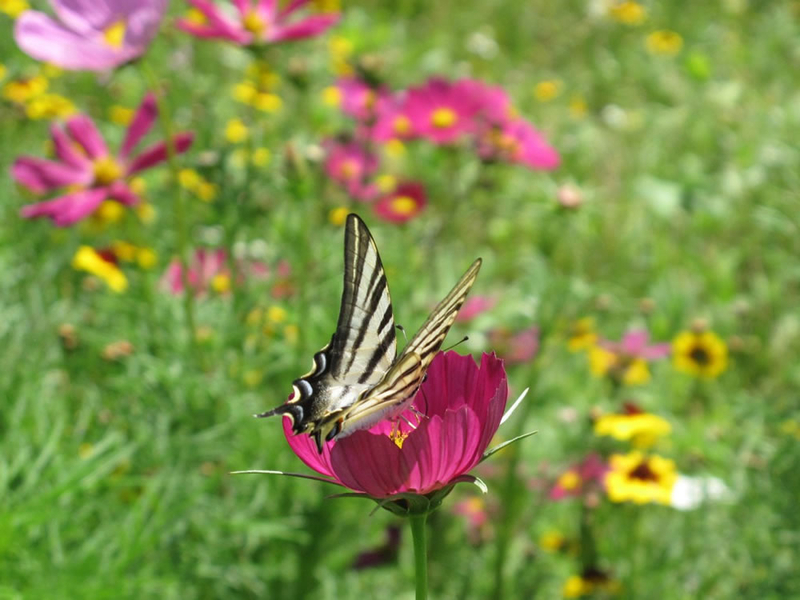 Pictorial Meadows have been working very closely with local Landscape Architect Miguel Garcia Ovejero to establish Pictorial Meadows in a new park development in central Madrid. 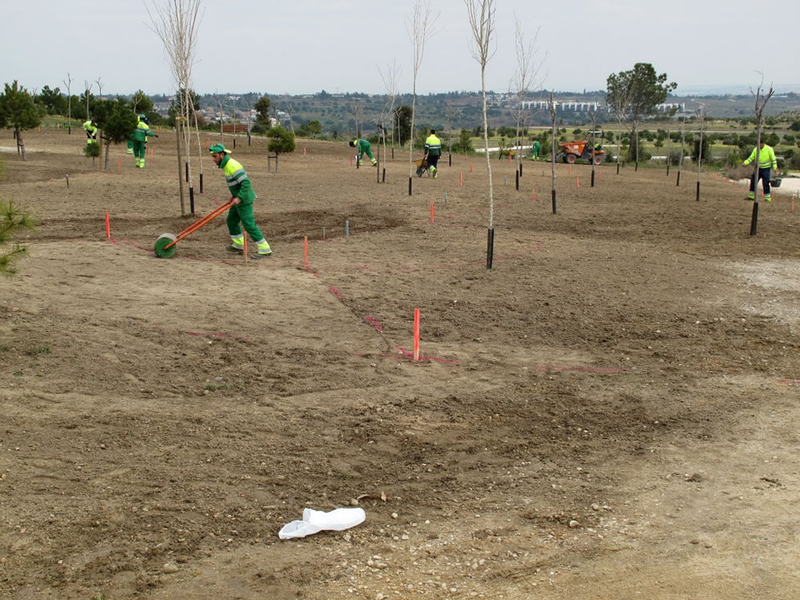 Large areas of the park were prepared for seeding and irrigation systems were laid by the local park’s workforce. 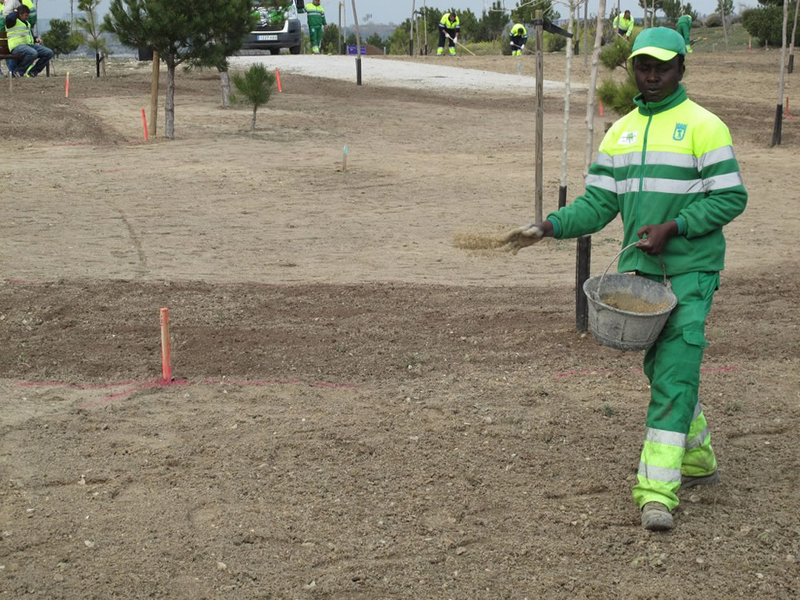 The first year was used to test the effectiveness of the standard PM annual mixes – which proved to be a big success even in the stressful climatic conditions. In 2016 there will be even more areas of the park given over to Pictorial Meadows in both annual and perennial forms – together with specifically designed ‘xeri’ mixes which can be used in all geographic areas with a Mediterranean climate. A range of different treatments including irrigation have helped to refine establishment times and treatment in these zones. The quick flowering annuals created a real impact with park visitors and the whole project has given both PM and the management of the park confidence that by using a combination of the right products with a good understanding of the local environmental conditions it is possible to achieve a viable and stunning Mediterranean meadow.